“She seems to focus in on all the good she was now surrounded with." The first thing Officer Barbara Jones of Richmond Animal Care and Control (RACC) saw when she responded to a call about an injured dog lying in some bushes was a blanket, which was covering the dog’s body. The state had been experiencing unseasonably cold temperatures and it was near freezing the morning of December 12, 2017. 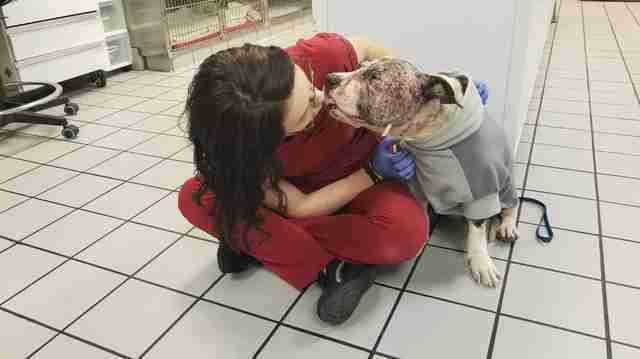 “When I pulled that blanket off and saw how swollen the dog’s face was, I was shocked and surprised,” Jones told The Dodo. Jones knew she had to get the injured and nearly frozen dog to Virginia Veterinary Center (VVC) right away. 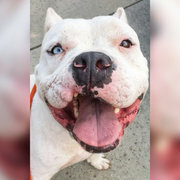 The dog, estimated to be a 3- or 4-year-old pit bull mix, was suffering from hypothermia and had multiple bite wounds all over her face. Some were fresh and some were old and infected. 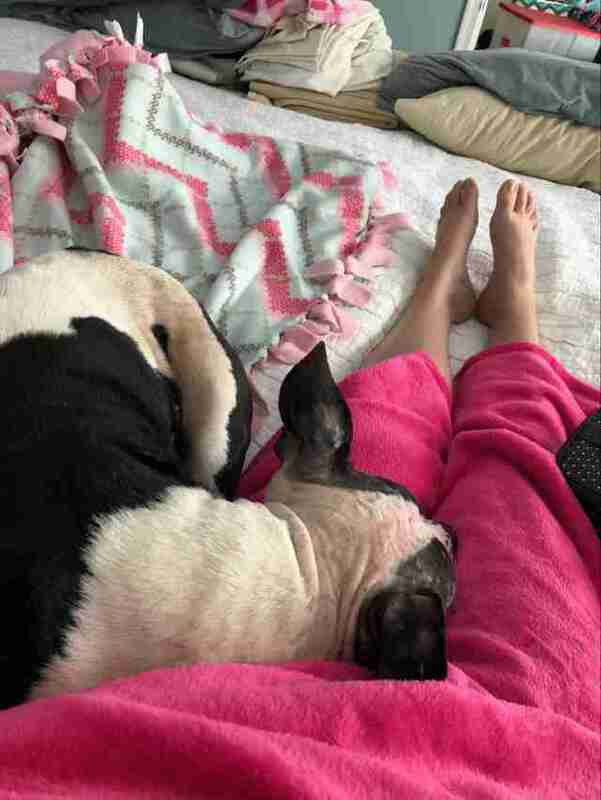 The dog’s eyes were also infected and so swollen that the veterinarians weren’t sure if she’d ever be able to see again, let alone survive the infections that were ravaging her nearly emaciated body. 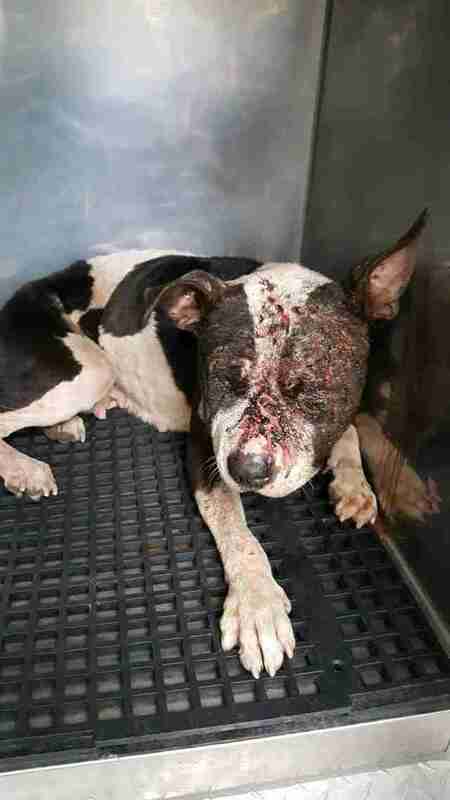 While no one can say exactly what happened to the dog, who was named Penelope, her wounds were consistent with the type of wounds that can result from dogfighting. 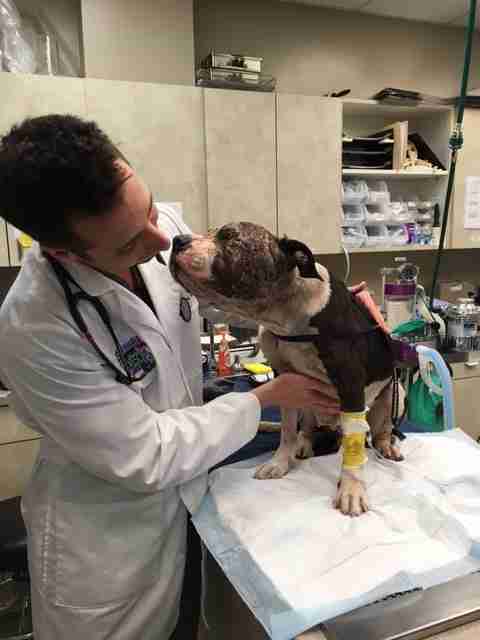 Rescuers quickly sedated her so her wounds could be treated. Surgery revealed a fractures and holes in her sinus. 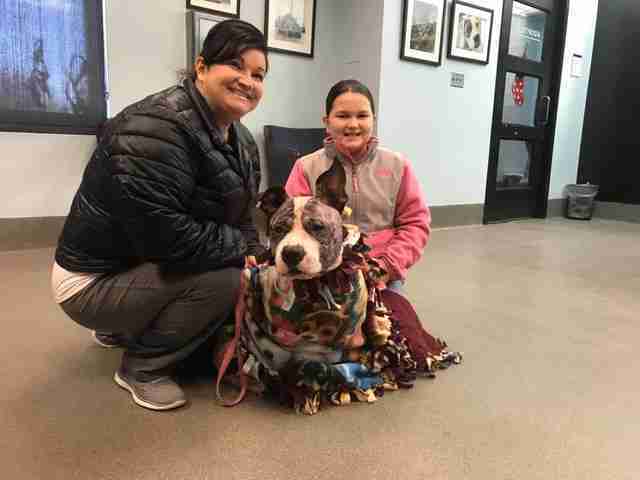 Her surgeon, Dr. Eduardo Mercurio, was able to treat the wounds around Penelope’s eyes and once the swelling subsided, she had vision in both of them. Over the next few weeks, she grew stronger and stronger. Penelope even got to go for a trip out of the shelter to get ice cream with two RACC volunteers — and loved every minute of it. 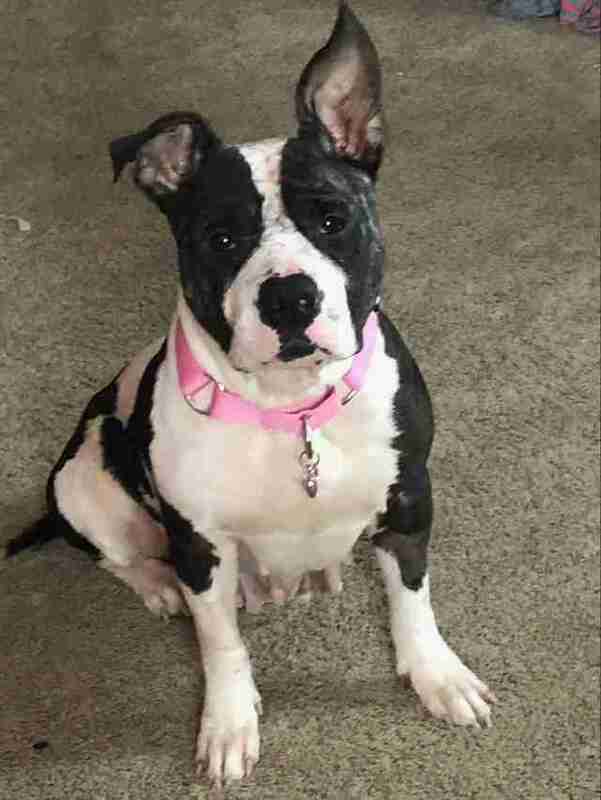 Soon, Penelope was strong enough to start looking for a forever home. Kelli Rice and her daughter Addyson, who’d lost their own beloved dog of 16 years right before Christmas, had been following Penelope’s story on Facebook for weeks. 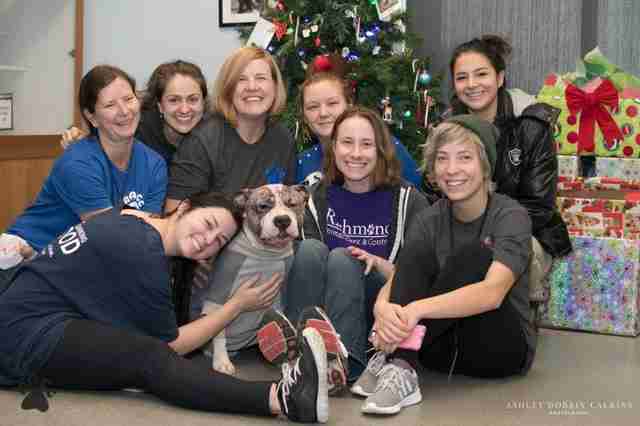 They quickly fell in love with Penelope, and realized she was the perfect dog to fill the void in their family. And on the first day of 2018, Penelope found her forever home with Rice and her daughter. While Penelope has come so far, she’s not completely healed yet. She has gained weight and some of her lost fur is growing back, and she’ll start heartworm treatment in February. Rice told The Dodo that while it’s hard to think about what happened to Penelope, she feels her scars are part of her uniqueness. “She is the best dog ever,” Rice said. 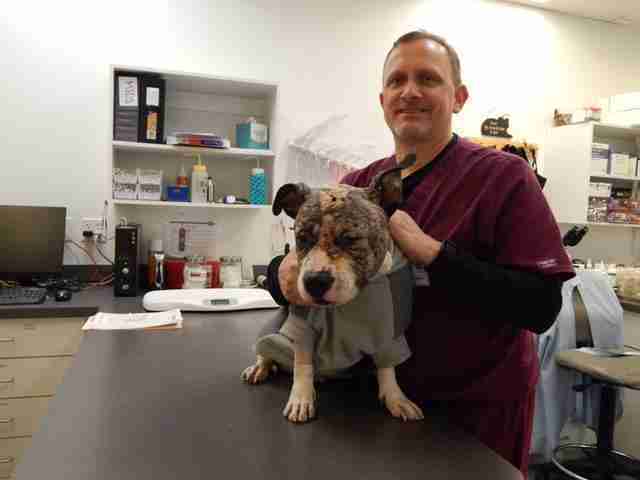 To help the RACC save other dogs like Penelope, you can make a donation here. If you know who may have hurt or abandoned Penelope, you can report it anonymously by calling the RACC at 804-646-5573 or sending a message through its Facebook page. Penelope was found on North 33rd Street in the Church Hill section of Richmond.